Press the Start SteamVR button in Trinus. 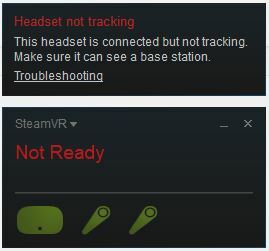 It will show a SteamVR not ready message (as seen on the screenshot below). This is normal, it'll go green once client connects. These are the basic steps to get started with Trinus. Once you are familiar with how Trinus works you can explore all its features to get the most out of your VR experience. If there's any problem, please check the Common Problems section below. Adjust the height in Trinus. Alternatively, re-run SteamVR Room Setup. Pressing the edges still requires touching the touchpad. Make sure you are not pressing on the outer rim of the touchpad. 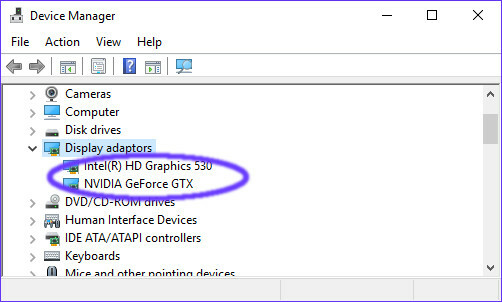 Here's the list of games you can play with Trinus and gamepad or keyboard+mouse. You can also play SteamVR games that require VR controllers, but this has some limitations at the moment (working to improve that!). Trinus duplicates the (single) Daydream controller to have two SteamVR controllers. 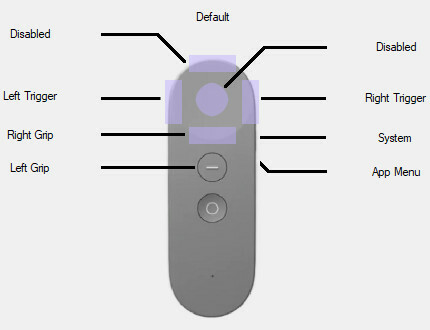 The second virtual controller will mimic the movements of the main one, and you can map buttons for both virtual controllers into the Daydream controller (along with some extra VR actions like crouch or move sideways). See the Controller Profiles section for more details on those custom mappings. If you want to play non-VR games, you can do that too with Trinus. But this feature is currently in non working state (coming soon...ish). Note that Async Reprojection needs to be disabled beforehand, using the Trinus Android Config app. Also, if you like retro gaming, you can try Dolphin VR (an emulator for GameCube and Wii games) or 3DNes (an emulator for NES). Keep in mind you should own the games you emulate. The Daydream kit includes a single controller, which Trinus will duplicate to have to virtual controllers. 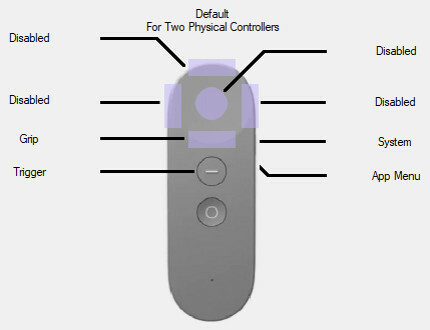 Trinus can map two virtual controllers actions to a single Daydream physical controller, one being the Main controller (right hand) and the other the Secondary controller (left hand). Both will have the same movement but handle buttons separately. You can, for example, assign Main and Secondary triggers to the left and right edges of the touchpad, for a dual wielding guns game, being able to shoot both weapons with a single physical controller. Or you could map the touchpad center to activate both triggers. Moreover, Trinus has custom mappings for actions like crouching or running (second controller inverts movement of main to simulate swinging arms). Before exploring controller customisation, you can select any of the Default (or game specific) profiles to get started and later tweak to your preference, once you are familiar with the system. Press the Cheat Sheet button (when available) to see detailed information on the profile mappings. When you create a new profile, current profile data is copied so you can tweak the existing one (eg. creating a DefaultMyVersion out of existing Default). The profile system allows flexible customisation for each of your games. If you create a good profile, please share with others on the forum here.